Arsenal and Chelsea lock horns at the Aviva Stadium in Dublin this evening as they continue their pre-season preparations with this International Champions Cup clash. 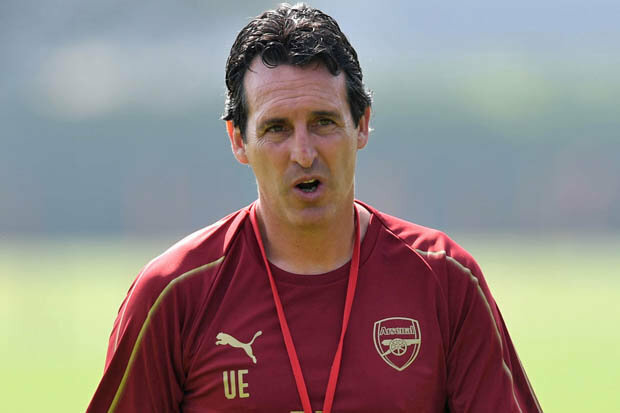 Unai Emery has named a strong side with Pierre-Emerick Aubameyang leading the line up front while Mesut Ozil and Henrikh Mkhitaryan offer support in attack. Aaron Ramsey and Mohamed Elneny are joined by Matteo Guendouzi in midfield while Shkodran Mustafi partners Sokratis in defence. Petr Cech is given the nod in goal ahead of Bernd Leno. Maurizio Sarri has handed Willy Caballero a start in goal while Cesar Azpilicueta joins David Luiz and Marcos Alonso in defence. Jorginho starts in midfield with Cesc Fabregas and Ross Barkley. Youngster Callum Hudson-Odoi gets a chance to impress as he starts along with Pedro and Alvaro Morata.